It’s always a welcome occurrence when people provide information for the blog. Most of the information in this post was sent to me by reader Lyndon who has researched the building we are examining today. 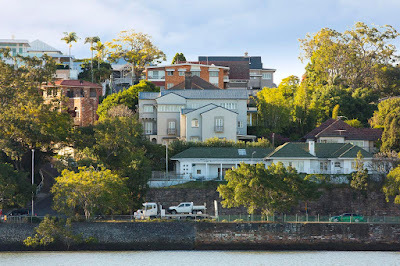 The building is named Evesham and it overlooks the Brisbane River in the classy suburb of Hamilton. My thanks to Lyndon for allowing me to publish some of the information he has gathered about Evesham. Here is a view of it taken just after the building’s completion. And here is a more recent image. Evesham was designed by leading Brisbane architect Mervyn Rylance for Mrs Evelyn Thomason who moved into the building in June 1937. Mrs Thomason was a well-known Brisbane socialite and the Brisbane newspaper Truth carried an extensive article on the Spanish Mission styled structure on 11 July of that year. 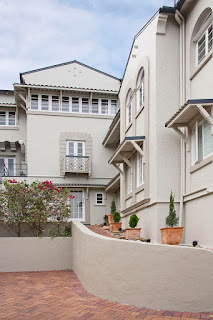 Although it appears as one residence, she commissioned Rylance to design the building as four large flats, each with unobstructed views of the river. I assume that the intent was to live in one and derive an income from the others. Evelyn Thomason (nee Horsman) was born in Cooktown in March 1880 and grew up in Rockhampton where her father was a publican. The family moved to Sydney in 1904, but Evelyn moved back to Brisbane in 1906 to marry HW Thomason, a partner in a thriving chemist practice around the Woolloongabba-South Brisbane precinct. 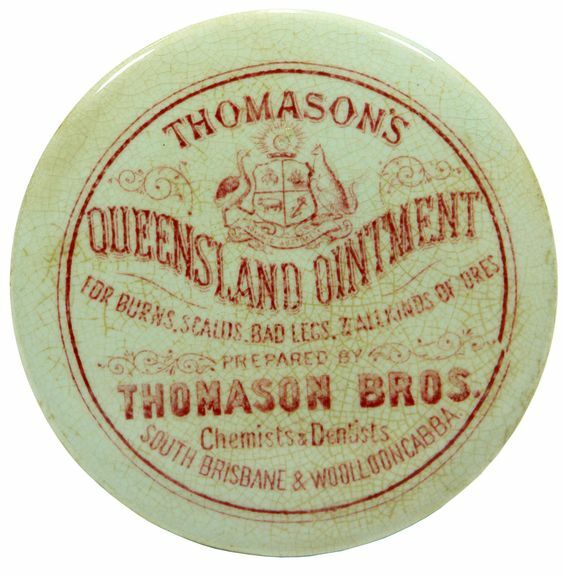 A building in the Woolloongabba Fiveways still has the Thomason name at the top as has another at Stones Corner. 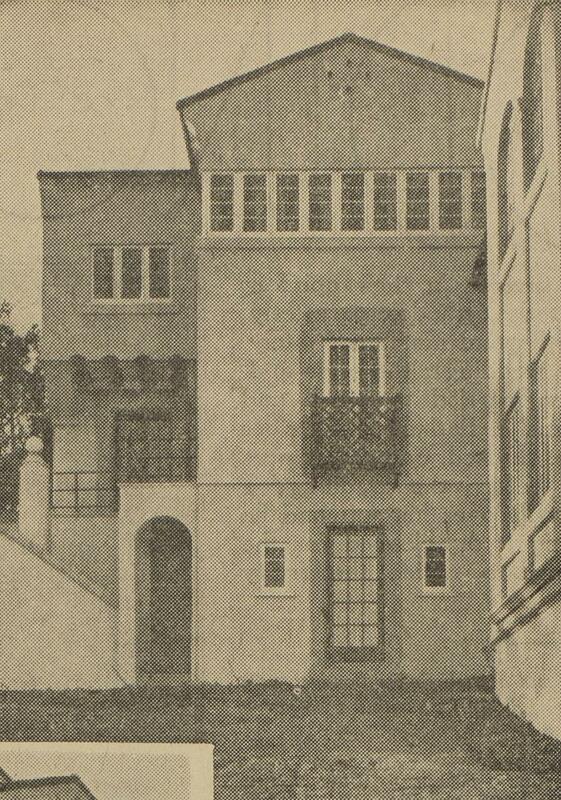 In 1907 they moved to a house on the Rathdonnell estate at Auchenflower. The estate became available for purchase in 1911 and it was bought by Mrs Thomason who moved into Rathdonnell House and subdivided the land, selling off the house that she had originally occupied. During the thirty years that the Thomasons lived at Rathdonnell it was the scene of many parties, social gatherings, sporting events and fund raising activities. Music, in particular, was at the centre of much of the entertaining that occurred - Evelyn was an accomplished violin player and all the family played an instrument. The family was obviously very well-off as there were regular holidays to Tamborine and Southport and southern cities as well as overseas trips. HW Thomason was almost twenty years older than his wife Evelyn and was aged 76 when the family moved to Evesham. Newspaper reports indicated that he had still been working as a chemist on his 74th birthday, but I do not know when (or if) he retired or when he died. This social life did not change when the family moved to Hamilton. 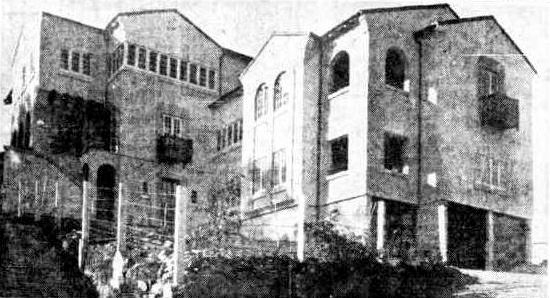 Lyndon reports that the German opera singer Madame Lotte Lehmann was a temporary resident at Evesham while she was performing a season at Brisbane's City Hall. It was Madame Lehmann who "discovered" the von Trapp family singing in a garden in Austria and encouraged them to enter a musical contest which they won, subsequently the genesis of the famous film "The Sound of Music". 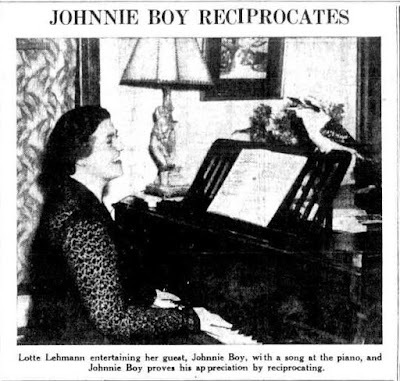 Here is a photograph from Brisbane's Telegraph newspaper showing Madame Lehmann at the piano at Evesham entertaining a kookaburra. Kookaburras must have fascinated her as there is video evidence of her singing a duet with one. Evelyn Thomason lived at Evesham until she died in 1970, but family members continued to live there for a time after that. The building, then under one title, was eventually sold to the Kirby family in 1980. Evesham's four apartments have since been strata titled, and my correspondent Lyndon tells me that the body corporate has been diligent in preserving the character of the building which will be 80 years old next year. 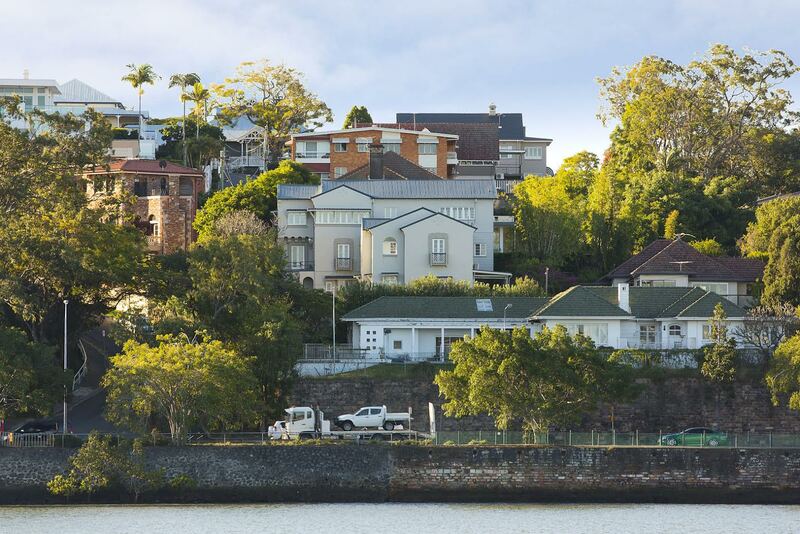 Here is a final look at Evesham nestled among neighbours overlooking the river. Love it! The recent photo of the building has some clear Bauhaus elements eg dates, colours, ground floor spaces, but then the roofline, balconies and (some) rounded window shapes are not. I'd love to know who influenced Rylance's architecture. Great photos showing the building when it was new and today! Yes it does look like one building, albeit of a slightly unusual shape. 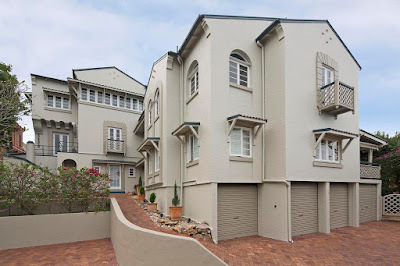 I am guessing that Mrs Thomason was a slightly unusual developer since she wanted her three lots of tenants to enjoy the same wonderful views of the river that she loved.